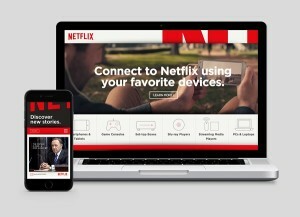 According to a new report into Traditional TV, Online Video and StreamingÂ from marketing technology firm, AudienceProject, 57% of consumers would cancel their Netflix subscription if the company were to add commercials into its streaming service. When asked whether they would stop watching Netflix content featuring ads even if the subscription price was lowered, 42% of respondents still confirmed that they would tear up their contract as a result. This is proof, if it were needed, that Netflix is right to focus on growing through its investment in content rather than considering hosting advertising any time soon. 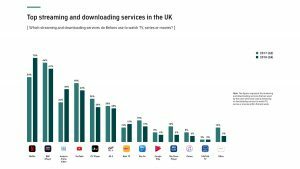 The strategy is clearly working as the company is stealing the lion’s share of streaming and downloading in the UK, with 70% of respondents using Netflix to stream or download TV programmes and films, up 30% across 18 months. It is also the number one streaming service in all other countries surveyed (US, Germany, Denmark, Sweden, Norway) except for Finland where Yle takes the lead. 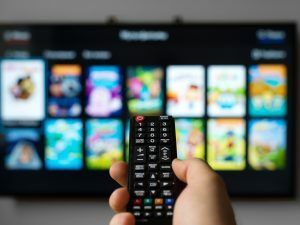 In the UK, TV remains the preferred device to use for streaming/downloading TV programmes and films, used by 42% of respondents, but computers are close behind, used by 39%, while 36% use mobile, 32% a tablet, 28 % a connected TV box and 17% a video game console – a pattern mirrored by device usage in the USA. 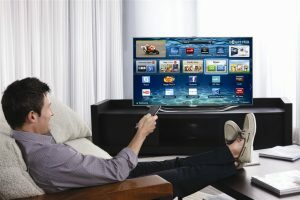 However, the computer has now surpassed TV for streaming/downloads in Germany, Sweden and Finland. 83% of all UK respondents still watch traditional TV on a weekly basis, but 43% claim that this is at a lower level compared to last year. Fewer people stream/download every week compared to those that watch traditional TV (49% of respondents) but 41% claim that they are streaming more compared to last year. The pattern is markedly different amongst younger people, however, with almost as many 15-25 year-olds (63%) streaming/downloading as watching traditional TV (65%). 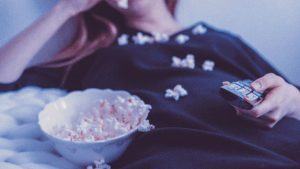 However, despite the decline in traditional TV viewing, advertisers can take some heart in the fact that 63% of respondents use other devices while watching TV – of which 82% are using them regularly/frequently. This potentially provides alternative and additional routes to engagement. Seventy-nine percent double-screen with their mobile, while 44% use a tablet, 35% a computer and 4% a smartwatch.